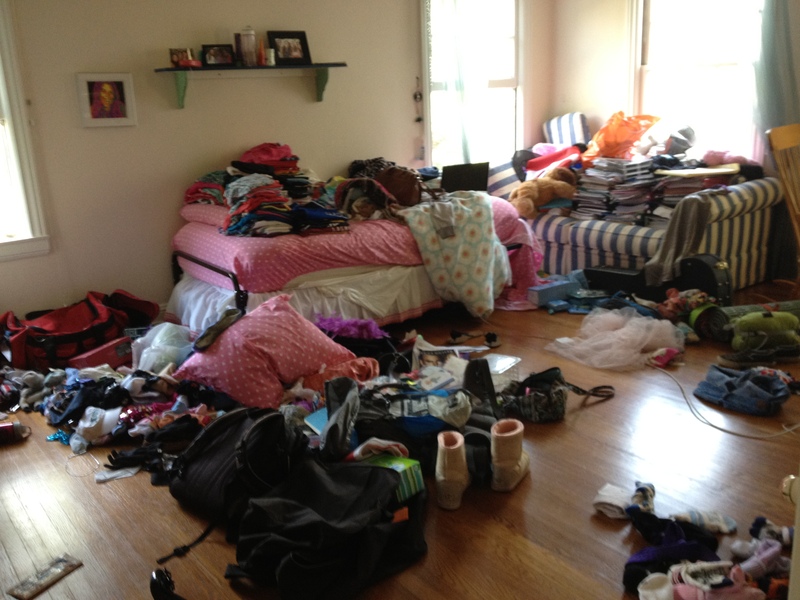 In a past blog post I wrote about missing my daughter and even her messy room when she went off to college. Well I got my wish completely last week – all four kids were home at the same time for eight days. Other than a couple of days each for Todd’s wedding and Adam’s bar mitzvah this is the first time we had this happen in many years – perhaps since Derek left for college. 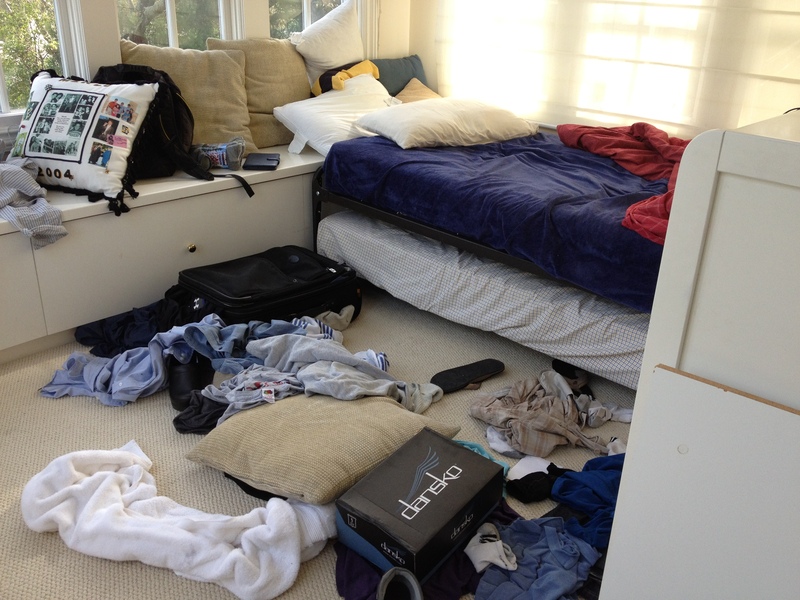 We were back in messy house mode and I loved it. Most of the week was pretty low key as Derek was busy with his Stanford NeuroSurgery rotation and Todd was working on his Orthopedics research project during the day. But, just having family dinner evenings with great conversation and some of the old favorite dishes was fun. We missed having Jess and Emmanuelle with us though we had a fun weekend with Jess just the prior week – Emmanuelle was in the final throws of Surgery rotation so unfortunately she couldn’t be here. One of the highlights was having Derek and Todd at Adam’s football scrimmage on Friday. Adam went to virtually all of Derek and Todd’s football games over the years and of course he looks up to their football expertise. Adam was beaming during the morning after play-by-play discussion. 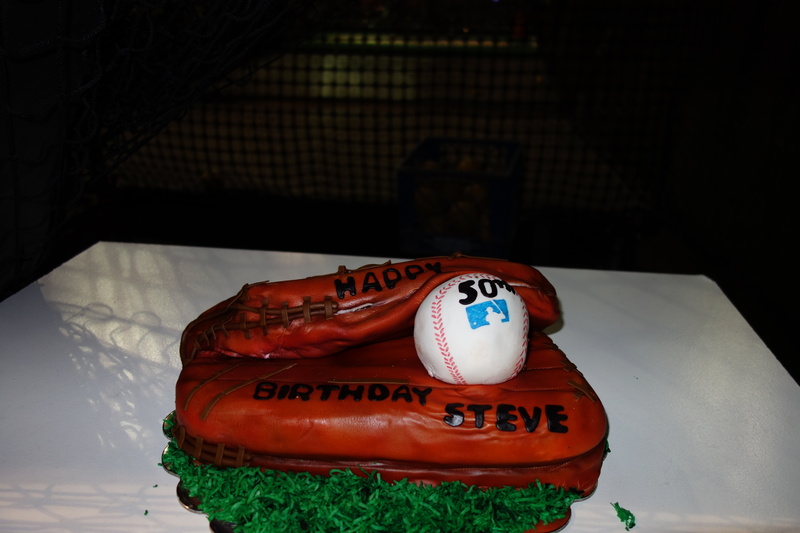 I used the kids being home as an excuse to surprise Steve with a west coast 50th birthday party (we did one in NY in May). 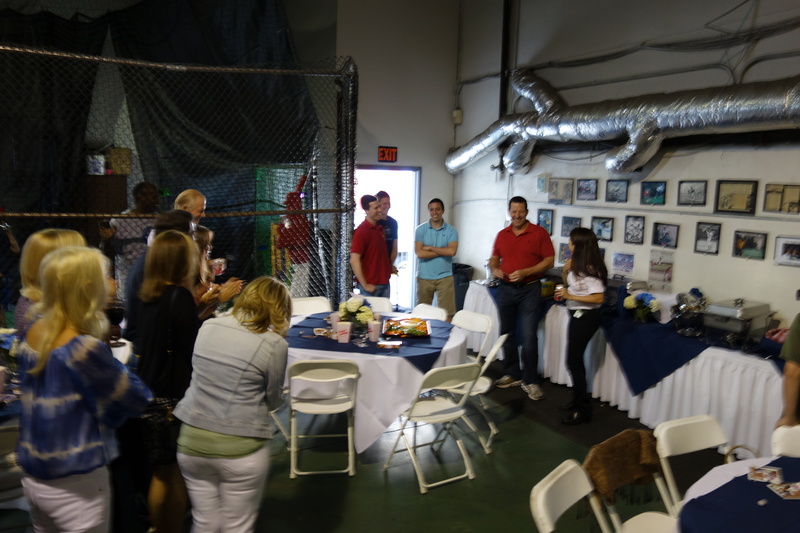 We took over FuturePro batting cages for a baseball themed party with about 60 friends and family – lots of casual fun! This entry was posted in Parenting/Family by lyecies. Bookmark the permalink.